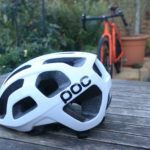 Review: POC Octal Road Cycling Helmet - ADVNTR. The POC Octal is a typical, Swedish, exercise in form over function. Not exactly ‘pretty’ and although largely unchanged since 2014, the helmet remains a firm favourite for its’ light weight and safety. 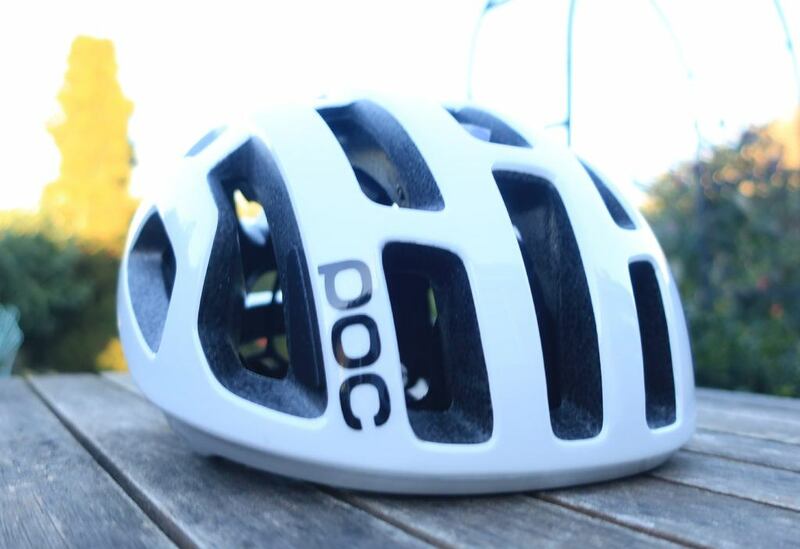 POC tell us the design was made to provide maximum occiptal lobe protection, hence the shape and it was designed to offer as minimal friction to a surface in impact as was possible, again the function dictated the form. The almost brutalist design makes me think of late period Le Corbusier architecture. Had he designed bike helmets, they would probably have looked like this. The aesthetic response is similar, you love it or loathe it. Then there’s the small matter of how it looks on your head. If your head is small or narrow, the chances are you’ll look like a Lego man. 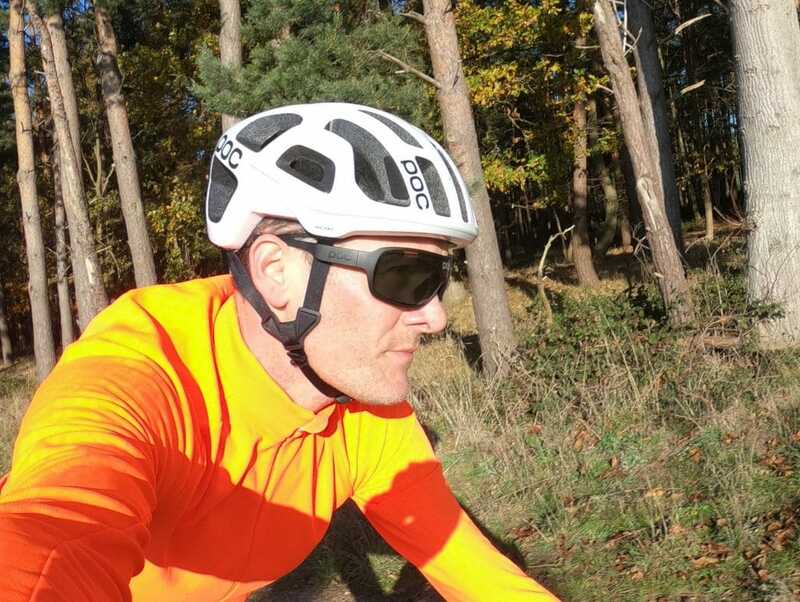 If you like bright colours, POC have a range of high visibility options from their ‘AVIP’ palette of safety focused hues. The ‘Hydrogen White’ shown being the most neutral of the bunch. 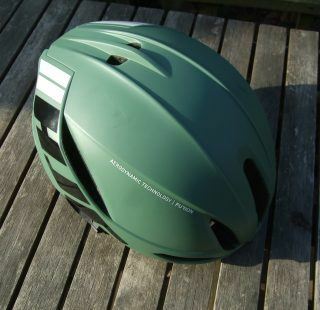 Although newer designs have eclipsed the Octal, it still boasts some of the best venting from any cycle helmet on the market. With a total of 20 vents, you are effectively buying more air than helmet for your £180. These large vents allow air to flow easily over your head, helping keep your noggin cool on even the hottest days. The medium sized Octal weighed in at 200g which is impressively light. Internally there isn’t much going on. The lack of padding was a bit of a shock. Only the front half of the helmet features pads and these are pretty thin. Think of them more for sweat absorption than padding. Pop it on though and the Octal disappears. The fit and comfort is simply outstanding. For my head shape at least, there were absolutely no pressure points. As odd as it sounds, considering the visual bulk of the design, you simply forget that you’re even wearing it. The dial retention system at the rear provides the usual levels of adjustment so you can fine tune the fit. Interestingly, it also offers vertical adjustment, via sliding tabs, to raise or lower the retention band. Adjusting the dial on the fly is easy even with gloved hands, as the dial is sensibly chunky and has a smooth action. POC’s straps sit nice and flat, straight out of the box. This has to be a first for me. The straps are moulded into the helmet, and sit a little proud from your head at the top. Beware that this configuration encourages your glasses to sit under the straps rather than over leading to a potential violation of The Rules . 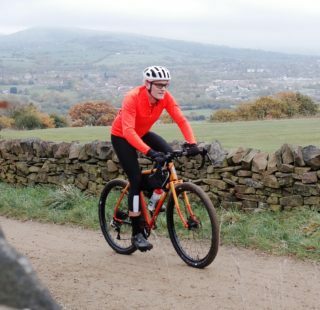 Straps over the arms of your is a fashion faux pas… Double check before rocking up at a roadie café, you’ll already be in the firing line for riding a cooler bike than them. This might just be a step too far! 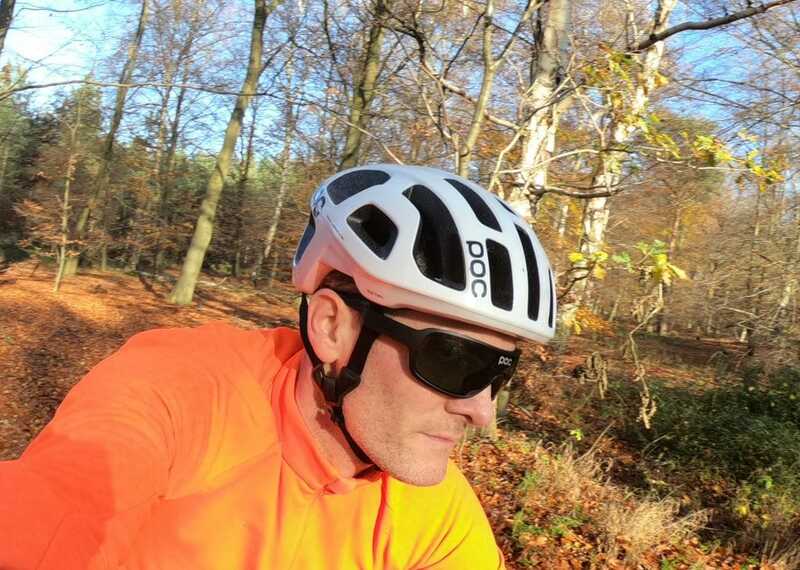 While on the subject of glasses, it is worth noting that the POC Octal doesn’t play well with glasses. 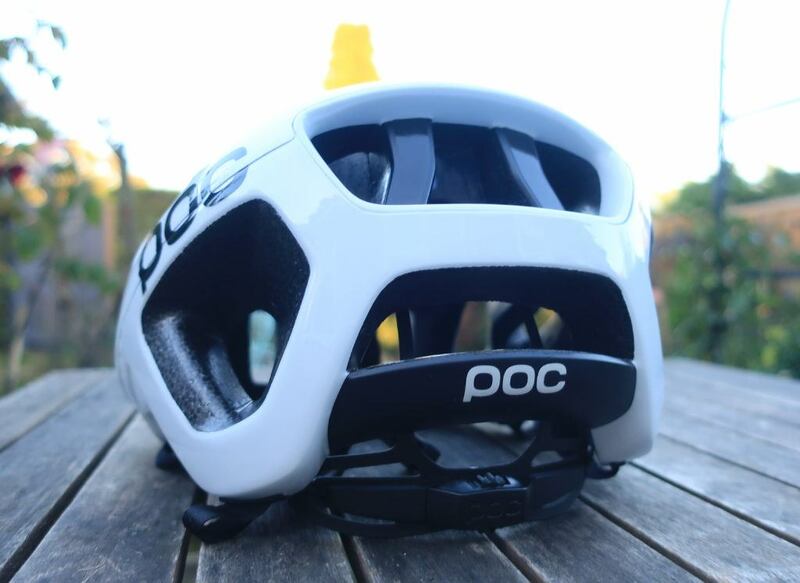 POC’s own line of eyewear such as the DO Blade, work thanks to their shorter arms – no surprise there then. I also tried Oakley’s Jawbreaker, which have adjustable arms, and on their shortest setting, they worked without any issue. The Octal also features an ‘eye garage’ located in the front two vents. Use it when you aren’t wearing your glasses and need to look pro! It’s little more than a couple of rubber strips that are meant to act as a retention system on the arms of your glasses. Sounds great in theory but in practice it doesn’t really work. Even with the DO Blades, they slid straight out of the vents and flew, lens first, into the dirt. 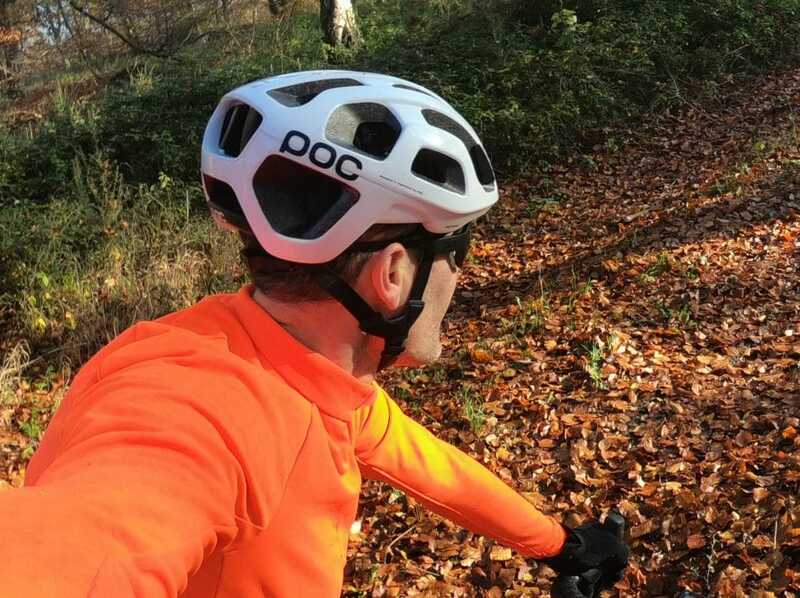 Compared to many other road or gravel helmet designs, the Octal offers extra protection to the side of the head. Think of something more along the lines of an Enduro MTB helmet. Switching directly from a Giro Synthe to the Octal, I was initially aware of the the difference but that’s about it. The Octal has weathered well during testing. Although subjected to a number of accidental encounters with branches and scratchy foliage, the high gloss finish has remained intact and blemish free. Even after a couple of seriously muddy rides, a quick hose off and wipe down is enough to clean it up ready for another ride. 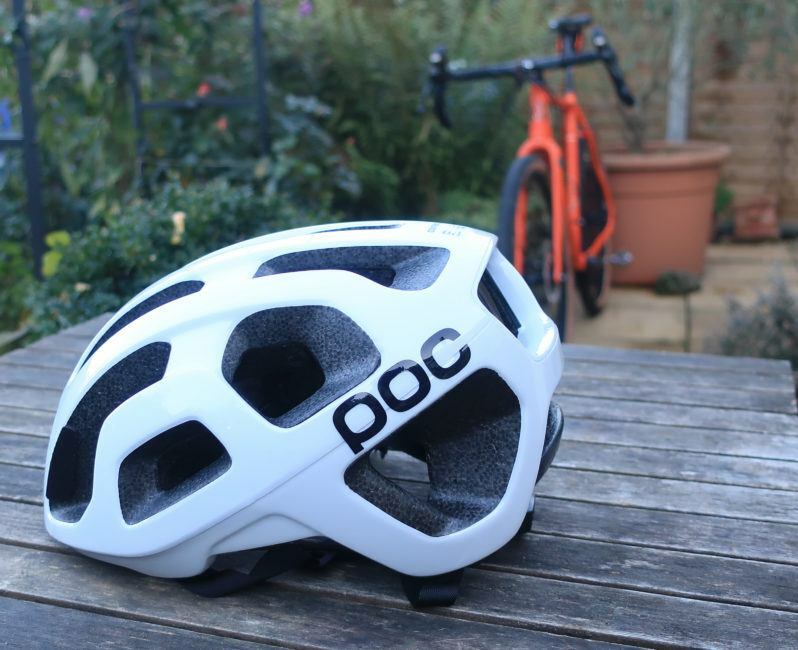 If you value comfort and safety and either love, or can overcome, the looks, the POC Octal should be on your short list should be looking for a new helmet.